Off and On… amazing how many there are! 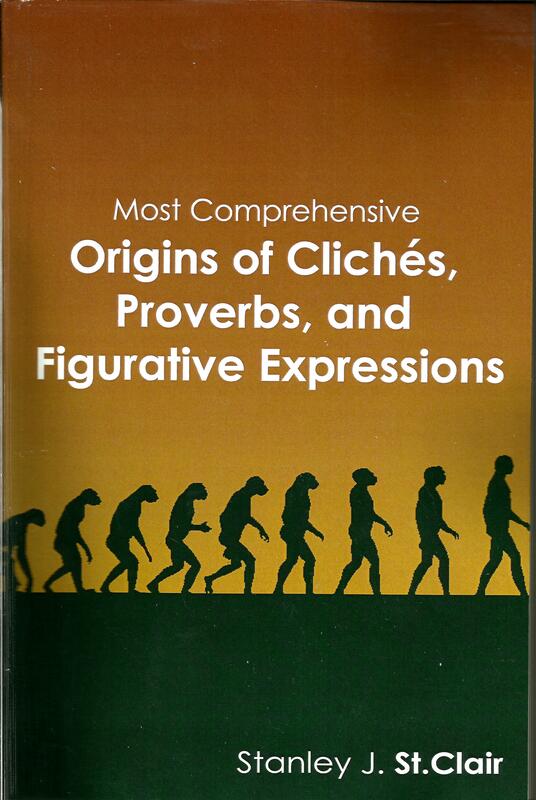 As those of you who follow my blog know, I am well into creating my second volume of Most Comprehensive Origins of Cliches, Proverbs and Figurative Expressions, It is my plan to have it ready to release this coming October. In order to do this it takes long, tedious hours of research and work. It continues to keep my ‘on my toes’. In the first volume, I researched and expounded upon numerous ‘Off and On’ phrases, like Off the cuff, Off the top of my head, On again, off again, On a roll, On a shoestring, On cloud nine, On one’s toes, On shaky ground, On the lam, On the other hand, On the same page, On the tip of my tongue, and On the warpath. It would seem that the phrases would run out…but, believe it or not, they seem to go On and on. The off phrases don’t seem so endless. I picked up Off one’s feed, Off one’s rocker, and Off the grid. But watch out! Hold ON to your hat! (another one in the new book). Volume two has On edge, On a fast track, On a short leash, On someone’s dime, On, at or to someone’s doorstep, On the blink, On the button, On the edge of one’s seat, On the flip side, On the fritz, On or in the hot seat, On the QT, and On the wrong side of history, and I’m ‘here to tell you’ that this book is not only On the right side of history, it’s On the cutting edge of this genre in books.ant there are over 1000 more besides these!,Just make sure you own the first one first, Don’t ‘get the cart before the horse’ (that’s in the first book). This one is cross referenced with the first book, and has slight variations of some phrases just in case someone looks it up under that version, which refers the reader to the other version. I honestly believe it is more comprehensive than the original, but both are needed to see ‘The big picture.’ Stay tuned for updates! Rhonda and I had a wonderful Valentine’s Day with dinner and a movie and time together. These special occasions form memories to keep us aware of the truly important things in life. 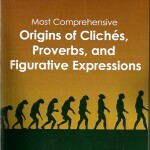 March 6th will be the first anniversary of the release of Most Comprehensive Origins of Cliches, Proverbs and Figurative Expressions. I have been so pleased and thankful that this book could make a difference in so many people’s lives and garner such touching praise. I want to take this opportunity to thank all who have been so kind. Just because this effort has been so successful, I didn’t want to be found ‘resting on my laurels,’ ‘if you get my drift.’ I have ‘all my ducks in a row’ for a major announcement exactly two weeks from today, on March 1st. I don’t want to be guilty of ‘a failure to communicate’ and I expect this to come off ‘without a hitch.’ That’s why I’m not waiting till ‘pigs fly’ to relate the good news. ‘Any way you slice it’ the results will be a ‘win-win’ for all concerned. Today is the longest day of 2012–a year proclaimed by many to be a global game-changer. In olden days ancient tribes would meet on both winter and summer solstice for religious ceremonies. The summer solstice was to celebrate the positive energies associated with the blossoming of spring into summer. Some today still participate in these celebrations. Regardless of this, summer brings hot temperatures and vacations in which we can enjoy the beauty of nature. When you have opportunity, drink in the values that reading a great book or e-book can bring this summer. St. Clair Publications is about to crank up a new program by which we will have available a number of e-books which may be enjoyed on a variety of electronic devices at one reasonable cost. More on this later. In the meantime, have a wonderful summer! Yesterday was a very busy day for me out of my office. A lot of the day was done working to build a community service club, then I met with three people in our organization, first with one, then with two more. I got home very late and didn’t get back to the office. Just about 20 miles from here, in the area I was meeting our associates, one of the biggest outdoor annual music events in the country, Bonaroo, is in progress. This year they feature such groups as the Red Hot Chili Peppers and the Beach Boys as well as a host of others. Then down the road a bit in Nashville, the CMA Music Fest is on with the Who’s Who of Country Music. Middle Tennessee draws around 200,000 outsiders to the area each June for these similtaneous happenings. While this excitement is in progress we at St. Clair Publications are planning a little excitement of our own. Kent Hesselbein is working with best-selling local author, Tammy Mentzer Brown, on a pilot program for our offers to other authors. The results are scheduled to be up and running by mid-to-late July. They inviolve individual web site planning and hosting, e-book preperation and sales on the author’s site as well as our site, and trailors with vidoe clips from author talks and other highlights. I will post results here when the test program is up and running. Meantime, grab a steaming cup of java and good book each morning and follow our posts..